Daclatasvir (Natdac) is used with another antiviral medication (sofosbuvir) to treat chronic (long-lasting) Hepatitis C, a viral infection of the liver.Daclatasvir (Natdac)should never be used without sofosbuvir.Daclatasvir (Natdac) & sofosbuvir may also be used with another antiviral medication (ribavirin). These medications together reduce the amount ofhepatitis C virus in your body, which helps your immune system fight the infection and may help your liver recover. Chronic hepatitis C infection can cause serious liver problems such as scarring (cirrhosis), or liver cancer. 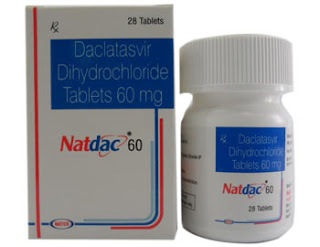 Natdac (Daclatasvir) is used with another antiviral medication (sofosbuvir) to treat chronic (long-lasting) hepatitis C, a viral infection of the liver. Natdac(Daclatasvir) should never be used without sofosbuvir. 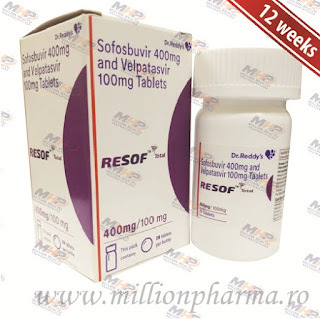 Natdac(Daclatasvir) and sofosbuvir may also be used with another antiviral medication (ribavirin). These medications together reduce the amount ofhepatitis C virus in your body, which helps your immune system fight the infection and may help your liver recover. Chronic hepatitis C infection can cause serious liver problems such as scarring (cirrhosis), or liver cancer.